For those who seek distinctive flavor experiences, new Torani Signature Syrup brings together delicious combinations of simple, real ingredients for a beverage experience like no other. Each of the 13 distinctive flavors is crafted using a unique blend of pure cane sugar and organic agave, maple, or caramelized sugar; layered and blended with natural flavors to create syrups you simply have to taste to believe! 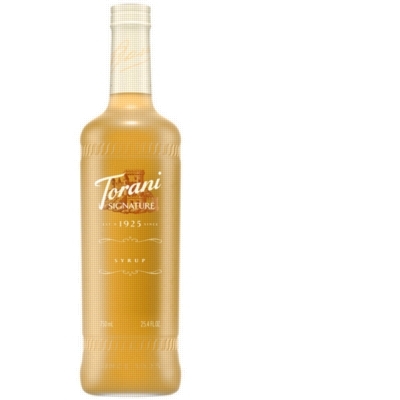 Beautifully presented in a premium, frosted glass bottle, this natural syrup is so exceptional, Torani's founder�s signature is on every bottle.